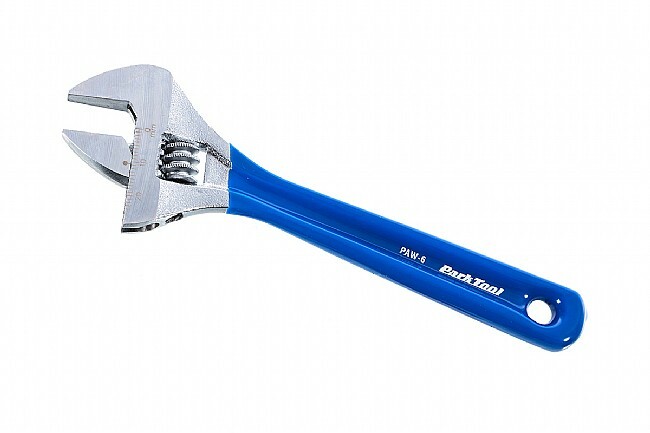 The PAW-6 Adjustable Wrench is 6 inches long, made of precision ground, heat-treated, and polished Chrome Vanadium steel for durability and efficacy. Its dipped vinyl handle offers a comfortable, non-slip gripping surface. The jaw opens up to 24mm and contains a handy a laser-engraved measurement scale.